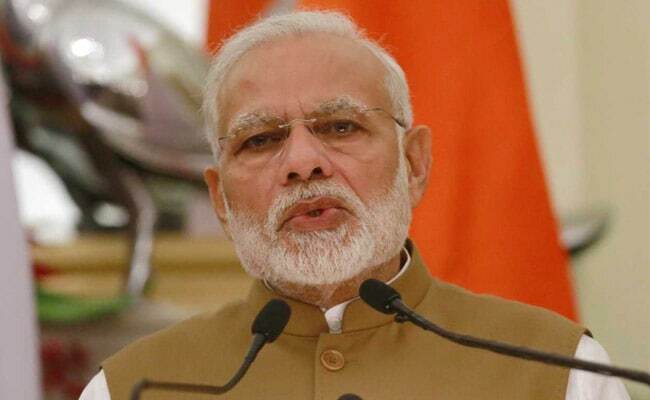 The Central Information Commission has directed the Prime Minister's Office (PMO) to disclose complaints of corruption received against Union ministers between 2014 and 2017 and action taken on them. Chief Information Commissioner Radha Krishna Mathur, while deciding a plea of Indian Forest Service officer Sanjiv Chaturvedi, also directed the PMO to share information about the quantum and value of black money brought back from abroad during the tenure of PM Narendra Modi, along with records of efforts made in this direction. The Prime Minister's Office had termed the questions asked by Mr Chaturvedi, in his RTI application related to black money, as not covered in the definition of "information" which can be accessed under the Right to Information Act, but the commissioner rejected the contention. "The respondent (PMO) has wrongly stated in his reply against point nos 4 (black money brought from abroad) and 5 (deposits made in bank accounts of Indian citizens from the black money recovered from abroad) of the RTI application that 'request made by the appellant is not covered under the definition of 'information' as per Section 2(f) of the RTI Act'," Mr Mathur said while ordering their disclosure. In his RTI application, Mr Chaturvedi had also sought information on various schemes of the BJP government such as 'Make in India', 'Skill India', 'Swachh Bharat' and 'Smart City Project' which were transferred to the ministry concerned by the PMO. Not getting satisfactory response from the PMO, Mr Chaturvedi filed an appeal before the Central Information Commission, the highest appellate body on RTI matters. During the hearing, Mr Chaturvedi told the commission that he had sought specific information regarding certified copy of complaints submitted to the Prime Minister against corruption of serving union ministers which should be provided to him. "The commission further observed that the respondent (PMO) has not given correct and specific reply/information to the appellant on point numbers 1(b) (corruption complaints against ministers), 4, 5, 12 & 13 (related to corruption in AIIMS) of the RTI application," Mr Mathur noted. The commission also directed the PMO to disclose action taken on a letter of Mr Chaturvedi alleging corruption against officials of the All India Institute of Medical Sciences (AIIMS) and purported role of a union health minister in it. Mr Chaturvedi had earlier raised the issue of alleged corruption in the erstwhile Congress government in Haryana and a forestry scam case in which fake plantations were allegedly carried out across the state. Facing purported harassment from the state government, he appealed to the central government which formed a committee in union environment ministry in 2010. Its report found merit in the contentions of Mr Chaturvedi. In August 2014, Mr Chaturvedi was relieved from AIIMS and sent to Uttarakhand where he is serving as a conservator of forests.